This is a quick primer or guide on what it takes to prove a medical malpractice claim. Very broadly, medical malpractice is where a healthcare provider’s treatment falls below the accepted standard of care for similarly situated professionals under the same or similar circumstances. In order for the malpractice to give rise to an actionable lawsuit, it must also cause harm and injury to the patient. If your head spun and your eyes glazed over reading that, then I will redefine “medical malpractice” for you in non-legal-speak as where a medical care provider fails to care for a patient in a reasonable manner under all of the circumstances, which in turn causes harm to the patient. What must I prove in my Medical Malpractice Lawsuit? What is the standard of care? What is reasonable? The “Standard of Care” is what a reasonably prudent medical care provider within the same field or specialty should do in caring for you under the circumstances. In the vast majority of cases, in order to prove that a healthcare provider’s care fell below the standard of care, which is also referred to as a “breach” of the standard of care, the testimony of another healthcare provider, within the same specialty or practice area, will be required to establish what a reasonably prudent healthcare provider should have done under the circumstances. If you are wondering – “why does he keep saying ‘healthcare provider’ and ‘medical treatment provider,’ why not say ‘doctor’?” – the more general terms such as “healthcare provider” are used to refer to both doctors, nurses, hospitals, private practices, physician’s assistants, therapists, technicians, technologists and any ancillary staff at a hospital or medical practice who engages in medical care. Physicians are not the only medical providers who can be liable for errors in providing medical care. For a more in-depth discussion of the term “standard of care” from a physician’s standpoint, please refer to the following ncbi.nlm.nih.gov standard of care article. What is & How do I prove causation? In order to prevail in a claim alleging medical malpractice, causation is an essential element. 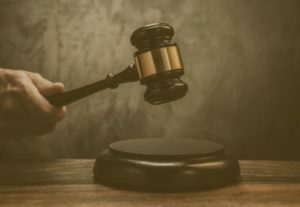 Courts require you to prove that the injury was actually caused by the negligent medical treatment, and that it proximately resulted therefrom. If your eyes glazed over again at the use of the term “proximately,” then more simply put you must prove not only that the harm resulted as a matter of fact from the medical negligence, but that it was reasonably foreseeable that injury would result from the medical error. In the majority of cases, both (1) actual causation and (2) proximate causation are proven through the testimony of one or more qualified medical experts. What? That is a latin phrase that means “the thing speaks for itself.” This is an exception to the requirement in a medical malpractice action that a qualified expert must establish causation. In the medical setting, ‘the thing speaks for itself’ and causation is assumed, where a healthcare practitioner is acting upon your body during the course of medical treatment, and causes an injury which could only have resulted from a medical error. A classic example of this situation is where a physician during the course of an invasive surgery or procedure (i.e. entering into your body) leaves an instrument or sponge inside of your body. Check out our page on sponges & instruments left behind during surgery or procedure, if you or a loved one suffered an injury as a result of this type of medical error. Establishing and proving that an injury or harm resulted from medical malpractice can often be difficult to prove, as noted on our medical malpractice page, because poor outcomes are a reality in medicine. Healthcare providers are after all tending to people who are already sick or injured. Further, medicine is not an exact science and there are a multitude of examinations, diagnostic tools, consultations, tests, treatment modalities and medications that can be employed in any number of ways to diagnose and treat a given patient. The question of whether a medical error occured and the patient was injured often becomes obfuscated by the injury or disease process itself. This obfuscation becomes deeper when the patient has signed an “informed consent” which details the treatment and potential or expected complicatoins and outcomes. What about “Informed Consent” – Did I Consent to being Harmed? An “informed consent” is a document that patients typically sign prior to undergoing medical treatment or a surgical or other procedure. On its face, it may be used by the healthcare provider to suggest that you consented to the injury or harm that you received at their hands. However, the fact that you signed an informed consent is not a bar to bringing a claim for medical negligence. In fact, the consent is purportedly to inform the patient of the known and anticipated risks and potential poor outcomes, from a given treatment plan or procedure. It does not constitute a waiver of the patient’s right to not be harmed by errors or negligence by the doctor, nurse, or other medical provider. In other words, you as the patient have the right to be informed that certain adverse (bad) outcomes are a risk of a given treatment or procedure, even where the doctor and medical staff is reasonably prudent in providing the treatment – that is the purpose of the informed consent. It is not meant to preclude you from recovering for injuries and damages which are caused by the negligence of the physicians or staff, as clearly we expect our healthcare providers to provide us with reasonably prudent care. If you read or even just skimmed the content above, you probably understand that proving a medical malpractice claim is difficult and requires experience and knowledge about the medical standard of care for the particular field of treatment, the mechanism and causation of the injury and an ability to keenly assess whether your injury resulted from negligence or was merely a poor outcome. First, you should consult with a competent and experienced medical malpractice attorney, who has extensive experience in handling not just personal injury claims, but specific knowledge and understanding of the handling of medical negligence claims. As you can ascertain from reading the above, there are many issues that are unique to medical malpractice law, which require an assessment of the applicable medical standard of care, causation and the interplay of whether a bad result was caused by a breach in the standard of care or was an expected outcome addressed in a signed informed consent. Moreover, there are other applicable statutes and rules that come into play in filing a medical malpractice case, such as statutes requiring that you provide timely notice of your intent to bring an action, and having a qualified expert in the same or similar field of practice sign off on a certificate verifying that your claim has merit. These procedural requirements must be satisfied as a prerequisite/prior to actually bringing your claim against the heatlthcare provider. You also have a limitation on the time within which you can bring a claim for medical malpractice. It is thus imperative that you consult with an attorney on your claim promptly to preserve your rights to address and obtain a monetary recovery for your injuries. Contact the experienced Morgantown WV medical malpractice lawyers at Adams Legal Group, PLLC today for a free evaluation of your case, today – (304) 381-2166.